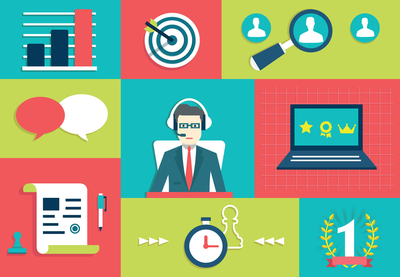 In truth, the success of your gamification efforts has very little to do with your software. It’s actually not too difficult to assign points, levels, badges, and other game mechanics to a task. Instead, the successful outcome of the activity – specifically the influence that it has on participants – needs to be accurately planned, tested, measured, and executed. While many definitions are floating around the internet, we like to take a more simplified approach to gamification; it is to apply rules and rewards to non-game activities in order to strategically incite specific behaviors. 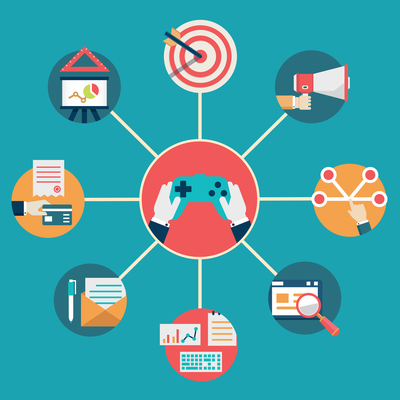 Gamification can be further broken down by analyzing game mechanics and game dynamics. Game mechanics are the features or functions that create the game-like experience. Examples of this are inherent in assigning points, levels, challenges, leaderboard ratings, or accolades towards digital activities. This way, when a user completes the challenge or action, they receive a reward. Game dynamics are the emotional responses or incentives triggered by the game mechanics. These responses may result in feelings of achievement, competition, self-expression, or status. 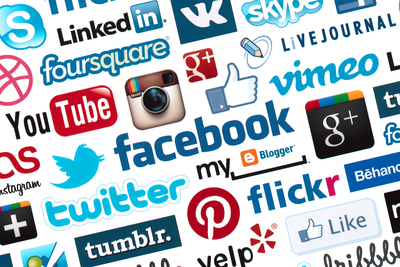 Game mechanics and dynamics are already present within social media. Twitter’s game mechanics include amassing a following, retweets, responses, and favorites, which incite users to generate and share more content. The resulting game dynamics are found in enhancing the user’s perceived social status, and empowering self-expression. This means that your social intranet may have certain elements of gamification. Features such as the ability to rate (or ‘like’) content, comment, generate discussions, favorite articles or tools, or track and publish team progress and statistics are all examples of game mechanics that may already be present within your digital workspace. Plan, plan, plan. The previous part to this series outlines steps 1 & 2 of your planning journey: strategy & assigning game dynamics, respectively. Step 1 details the importance of developing a specific strategy for all of your digital work activities. Once the strategy is in place, step 2 discusses planning your desired values and behavioral outcomes of your activities. Marrying the strategy with your behavioral wish list is where you can hone in on what digital activities you should focus your gamification efforts toward. With your values and associated behaviors defined in accordance with the intranet’s strategic priorities, it’s now time to plan how – and to what extent – your employees will be rewarded. Give your employees something they would want. Although this may seem like a straight-forward concept, it’s actually not something that every organization executes effectively. If certain game mechanics are rolled out, but employees don’t see the value in participating, it will not achieve the desired result. Of course, the size of the reward should represent the level of dedication, difficulty, and value generated by the desired activity. Therefore, dig into your audiences and find out what rewards are really valuable to them in their workplace. They may take the form of simple recognition, or perhaps tangible rewards such as prizes or perks. Rewards may be categorized by communal (user-generated) rewards, or company (system-generated) rewards. User generated rewards may include ratings (likes), quantifying the number of comments in a person’s thread, displaying how many have viewed an item, enabling employees to nominate or recommend others, or any other function that is entirely user-governed. System-generated rewards may require a little more configuration on your intranet, but represent a more standardized reward system. This may include ranking employees, assigning accolades or badges, generating points or levels to users, and the like. A successful gamified intranet should have both communal and company rewards. Now for the juicy part – translating the intranet’s activities into something real. With a reasonably small budget, perhaps a few prizes would suffice for the intranet’s early champions. But the tangible rewards need not be monetary, as they may also take the form of certificates, a vacation day, or other office perks. This not only provides recognition for your employees, but further validates the legitimacy of the intranet’s incentives. In essence, creating tangible benefits tells your workforce “those activities on the intranet are valuable to the company, and deserve to be recognized”. In the initial phases of your social intranet launch this often converts the company’s nay-sayers, and proves to everyone that the intranet is indeed a valued asset. In turn, this helps to drive adoption and expand the network of activities on your intranet. With a broader understanding of what gamification means, and how it may apply to your social intranet, it becomes clear as to how easily digital work activities can be turned into rewards. The applications are numerous, with many common cases targeted towards sales portals, recruitment and training, community engagement tactics, or even collaborative competitions - towards internal campaigns and even philanthropic initiatives. While the focus around gamification tends to be on the game mechanics, it is appropriate planning and execution of the game dynamics that truly drives value for your intranet. With social elements increasing in prominence on intranet platforms, the game mechanics are becoming more inherent. This creates ample opportunities to leverage the game dynamics, and therefore the intranet experience, to align with the desired culture. This in turn serves as a subtle and effective means to reinforce your organization’s culture on your intranet, and drive more value from your employees. The latest in intranets and digital workplace innovation will be front-and-center and showcased by some of the World’s best intranets – from Google to Coca-Cola, Bayer and Liberty Mutual – at this the this year's Digital Workplace & Intranet Global Forum conference in New York. Reserve now and bring a colleague for free.